Last week, I had a procedure done which required prep and anesthesia. I am thankful for the friends that prayed for me and those who called or texted me to see how I was doing. It is a joy to know how many people cared about me. I am thankful for the women in my core group at Community Bible Study. They are a wonderfully diverse group and each one is a beautiful woman of God. I am blessed to have young babies in our group and each one is a unique gift from God to their families. I am thankful for my core leader who perseveres in her own struggles to be with us each week. I am thankful for the scars I have acquired along my way for they shaped me into who God wants me to be. I am forever grateful for the difficult people in my life because I have learned that God uses them to help me grow stronger in certain areas of my life. I am thankful for all of my life experiences, good and bad. An attitude of gratitude goes a long way to uplift one’s spirit and put things in the right perspective. 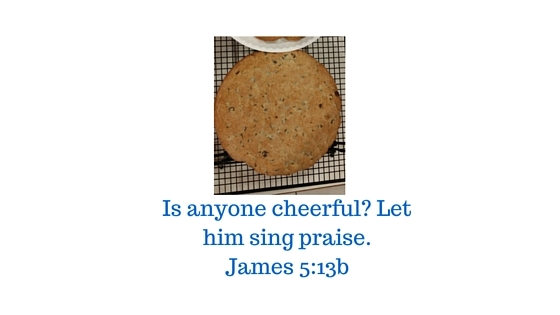 What can you give thanks to God for in your life? 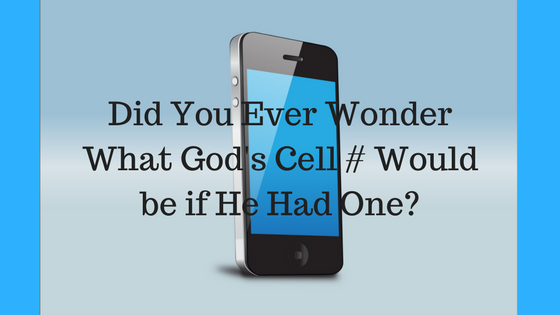 What if God Had a Cell Phone? Many years ago, a dear friend of mine introduced me to her father who gave me this verse to think on Jeremiah 33:3, ‘Call to me and I will answer you and tell you great and unsearchable things you do not know’ (NIV). This would later lead me to contemplate on what God’s cell phone number could be using two words, Cry & Call. There are a number of scriptures that refer to crying out to God or calling on his name. What might that number look like? When you use numbers from the phone to replace the letters you get 279-2255. 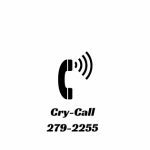 Mind you, this is not a for real number but just something to consider to help you to remember that when you cry or call out to Him in truth He fulfills the desire of those who fear Him and will answer their cries. Proverbs 1:20 -30 gives good reason why God does not answer when people cry out to Him. What great and unsearchable things has God revealed to you when you call to Him? What might God’s Cell number look like? Something funny happened while I was in Las Vegas visiting family. My brother & I went to lunch at Layer’s Bakery where they have a peanut butter puddle cookie. There was a gentleman with his beautiful black poodle. I wrote this little story based on our experience there. For you see, I very much like Dr. Seuss. While I was in Las Vegas my brother, Mike, and I went to Layer’s Bakery and there I saw a peanut butter puddle cookie. I thought to myself wouldn’t it be nice to eat a peanut butter puddle with a poodle. As we were leaving we stepped out onto the patio, where there was a gentleman eating his hot dog with his beautiful black standard poodle. I kid you not! I said to the gentleman, “You should go in and get yourself a peanut butter puddle to eat with your poodle.” He looked at me as if I was crazy and that was okay because I did not care for I was not from there. 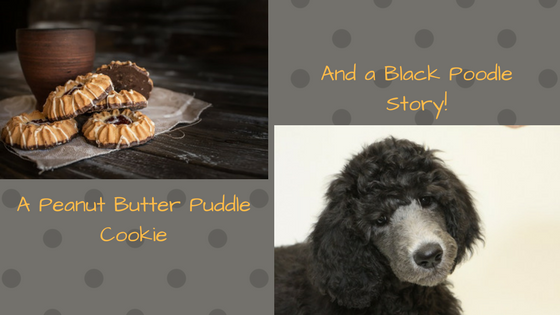 So if you are ever in Henderson, Nevada, and have the opportunity to go to Layer’s Bakery, be sure to take your poodle with you and get yourself a peanut butter puddle to eat with you poodle while standing in a puddle. The End. A Funny Little Story to Share with You. Therefore, I do so hope that I made you smile for this was something that only God could have orchestrated for He knows how much I like to read Dr. Seuss. I so much enjoyed that day I spent with my brother for we both got silly. God loves us with an everlasting love and if we stop and look we kind find His love even in the smallest of things like a peanut butter puddle and a poodle. For today, I thought that I would make Saturday an acronym day, so here it is. God’s plan of salvation is just that simple. He calls us to look to the cross. John 3:14-15, “And as Moses lifted up the serpent in the wilderness, so must the Son of Man be lifted up,that whoever believes in Him may have eternal life.” There are times when we make it harder than what it really is. John 3:14 is one of my favorite verses because it is so simple; look to the cross. Do you have an acronym that you would like to share? 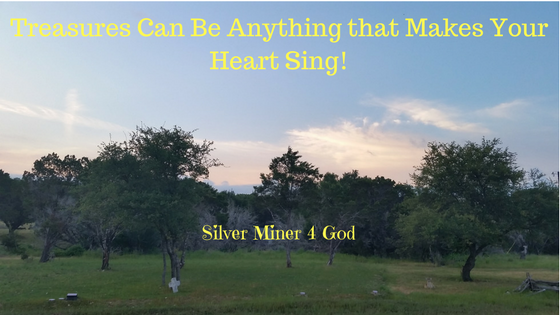 Treasures are from God Above. I thought that today I would focus on the treasures that God has given me as I put Him first and how I look at things differently. In every situation, there is something to be thankful for and to consider as a gift from God. For instance, when I left Las Vegas God had brought snow to the mountain tops and instead of complaining for the colder temps I thought what a send off for the mountains were beautiful. Another of His gifts was the pleasure of sitting with Jamilia from Australia. You see, my older son has a fascination with Australia. She was returning to Perth, Australia, after a 5-week journey to Trinidad and back. Only God could have done that knowing what a treasure this would be. I have her picture to treasure. God does not change! Just today talking with a new friend and a treasure, J.R., I realized how amazing that is. God’s love, mercy, grace, and compassion never change. Think about this for a moment! We would not still be here if God changed. He is the only being that does not change. Think how many times that you change your mind in a day let alone a week. If God was like this we would all be dead. What treasures can you find to give God thanks for today? Give Him thanks for being unchangeable! Count your blessings. Go and tell someone. It is good to share. An attitude of gratitude will lift your spirit. Therefore, rejoice in the Lord, again I say rejoice! Praise the Lord now and forever! God loves to give good gifts to those He loves.